How was your weekend?! You can check out my weekend recap HERE! 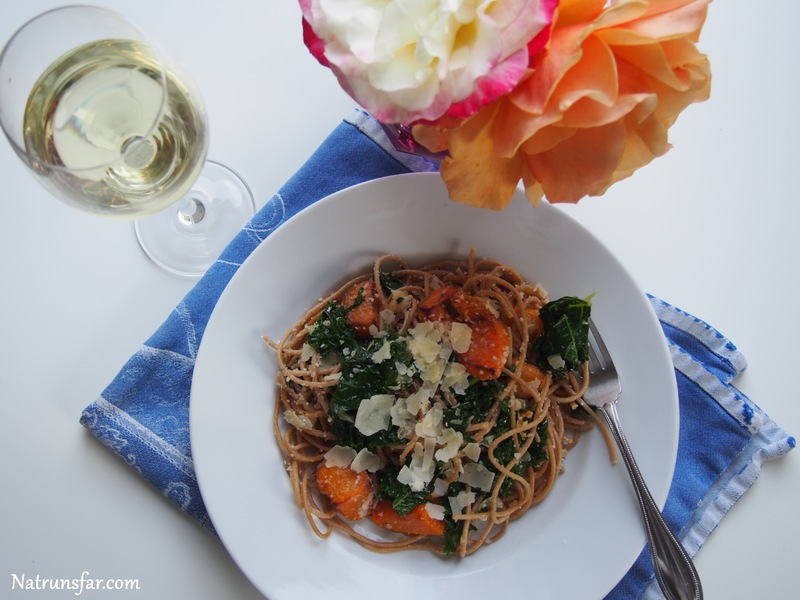 I am so excited about this delicious pasta recipe and I can't wait to share it with you! It's easy, healthy and oh so good - you'll want to make it for dinner this week. Once the onion and garlic have cooked, you add in the kale just until wilted. 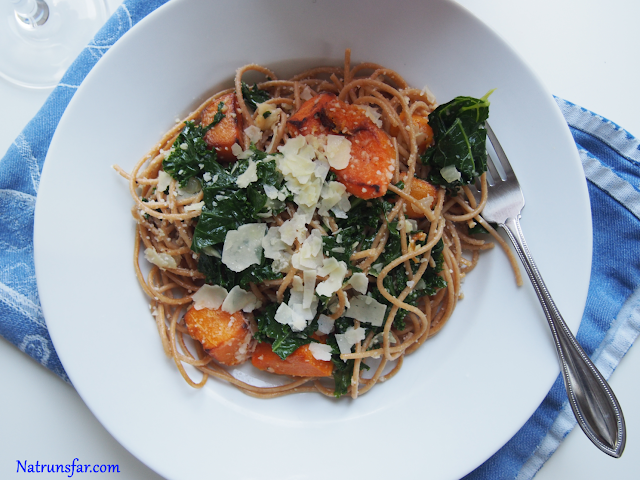 Then add the pasta, roasted butternut squash, kale/butter/onion/garlic mixture along with the pamesean and pecarino romano cheeses. Toss altogether and volia! We had a huge Sunday family dinner with my Mom and Dad joining us and everyone loved it! Serves 4 (Note: the ingredients below serves 4 people. I doubled the recipe for our family dinner). 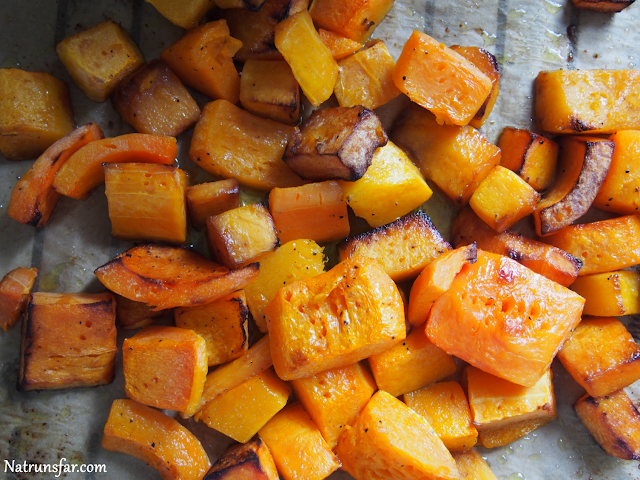 Preheat oven to 400 degrees F. Line a baking sheet with parchment paper and spread out the butternut squash. Drizzle with 1-2 tablespoons olive oil. Toss to combine. 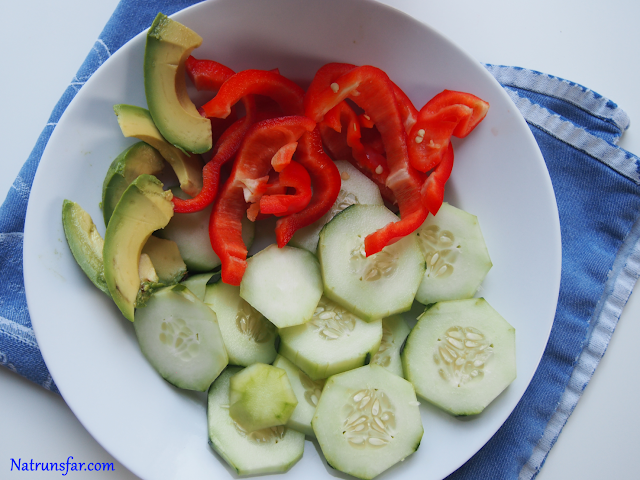 Bake for 30-40 minutes until squash is soft and can be easily pierced with a fork. Set aside. Bring a large pot of salted water to boil. Cook the spaghetti to al dente according to package details. When draining pasta, reserve a cup of pasta water. in a large iron skillet (or you can use a non stick skillet), melt butter over medium heat. Once butter is melted, continue to cook over medium heat until the butter has browned and is fragrant (should smell nutty). 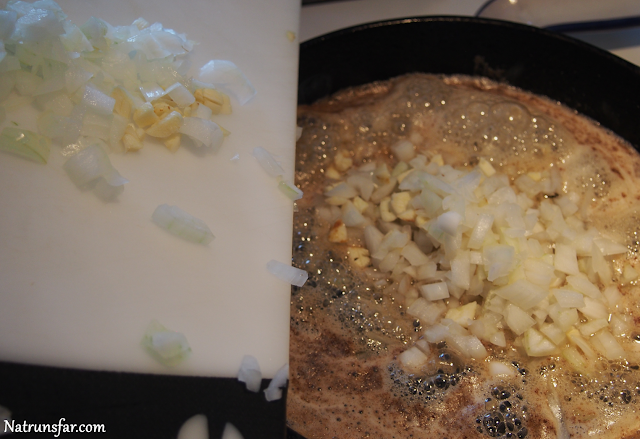 Add minced garlic and sliced onions. Cook until onions are almost translucent. Add kale in two additions. 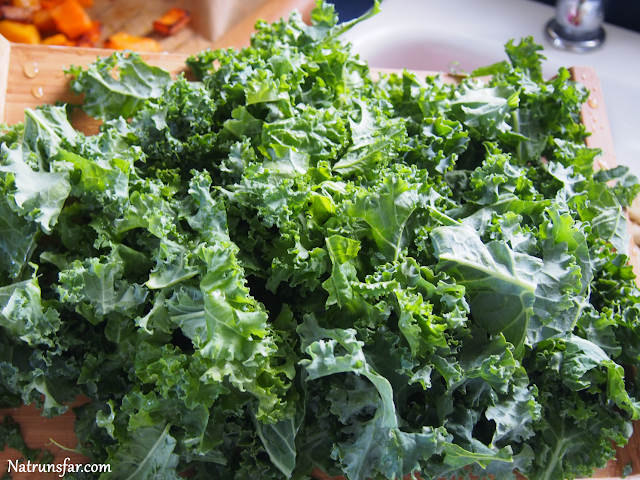 Cook until kale begins to wilt. Remove from heat. Add roasted butternut squash, pecorino romano and parmesan cheese. Toss to combine. Add cooked spaghetti and toss to combine. Add reserved pasta water, 1/4 cup at a time until the pasta is well coated with sauce. Add salt and pepper to taste. Serve immediately and and add more cheese if desired. And what's an awesome dinner without a little bit of dessert, right? 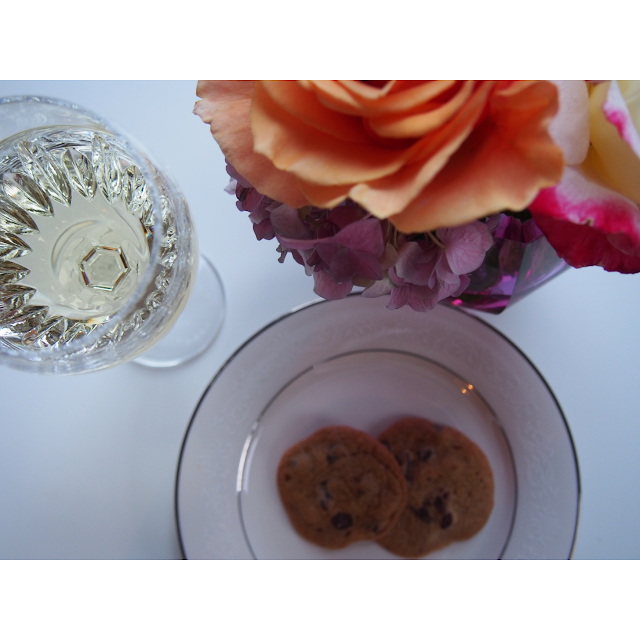 I am linking up with Tina and Deborah again (2 weeks in a row - yay!) for Meatless Monday. They are so awesome, so you should definitely pop over to their blogs and check them out! Do you have a favorite pasta dish?